I've created a date range search webapp for a friend. The source is open. It was used as a data collection tool for his/her mid term essay. You can define a search term and a site and a date-range and for each day in the range you'll get the number of occurances of the search term on the given site. The whole thing is very simple. It uses Google's date range search and it always searches on a one day interval (from=to). So it iterates over the whole range given and returns the result count for each day. 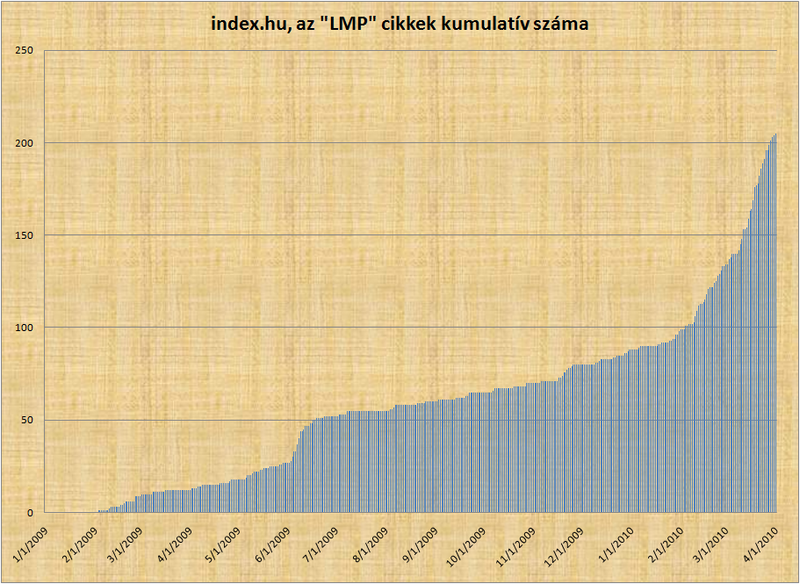 For example let's see the distribution of the term "rendszerváltás" on the Népszabadság online within this year. 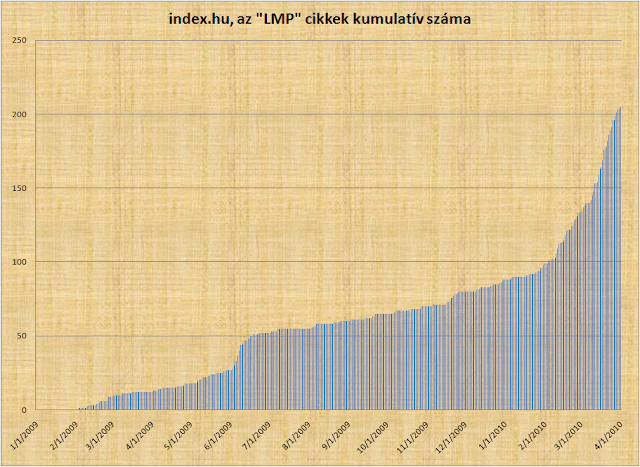 Actually this chart was created from data generated by a script specialized on Index.hu. So here we did not use the Google search but the site's own search tool which is more accurate.